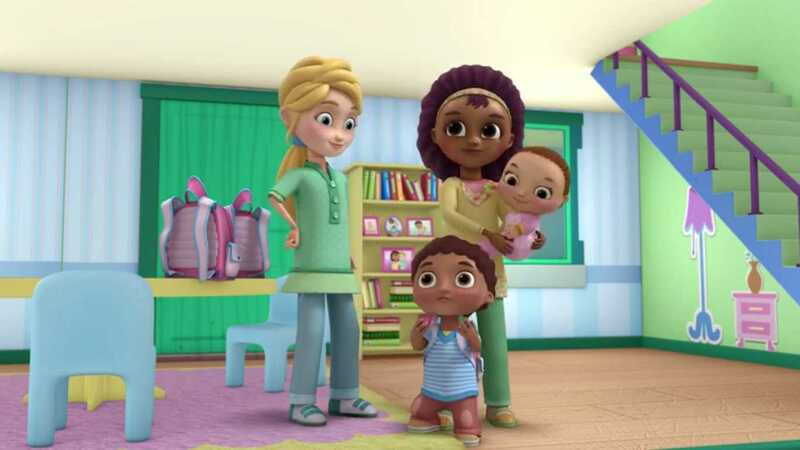 A watchdog group that monitors the promotion of sin in children’s entertainment is expressing concern over a recent episode of the preschooler-geared cartoon “Doc McStuffins,” which featured an animated depiction of the lesbian moms of two children. The episode, which aired this past Saturday on Disney Junior, centers on the importance of having a plan in place for emergencies. The lesbian characters, voiced by Wanda Sykes and Portia de Rossi, face an earthquake caused by a toy dragon jumping and down, and they run for safety—one with each child—in separate directions. The characters, who are later reunited with help from the lead character Doc, learn the importance of having a designated meeting place and a prepared emergency kit for such instances. Episode writer Chris McNee is also a lesbian and said that the story is reflective of her own household. “I always envision Doc McStuffins as a show about what it means to accept everyone as part of our communities. As part of a two-mom family, I’m proud to have an episode that reflects my son’s world, and shows everyone that love is love in McStuffinsville,” she told GLAAD. McNee made similar remarks in 2012 when the program was first released, candidly admitting that she sought to include “subtle messages” in the show. “Even though this is a kid’s show and we’re not going to see gay storylines, how do you instill subtle messages about acceptance and how people are different? Is that always in the back of your head when doing these shows?” she was asked by the outlet After Ellen. “My own biological family is an amazing family, but I think that classic story of gay kids is that you end up creating that family of friends and that’s always reflected in my work,” she said. McNee advised that Disney was supportive of her endeavor.